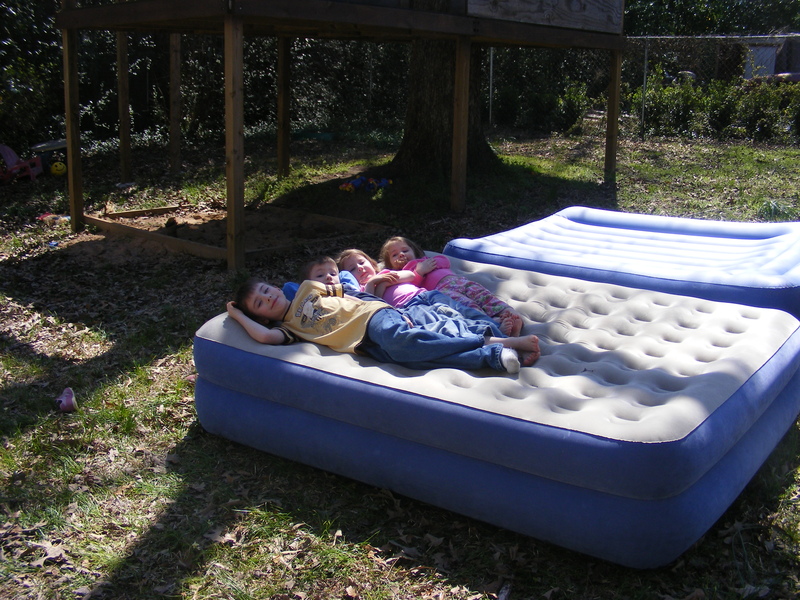 Wordless Wednesday ~ Redneck Trampoline | My Cup Runneth Over ... and So Does My To Do List! See more at 5 minutes for Mom. That is really funny, “red-neck” trampoline. 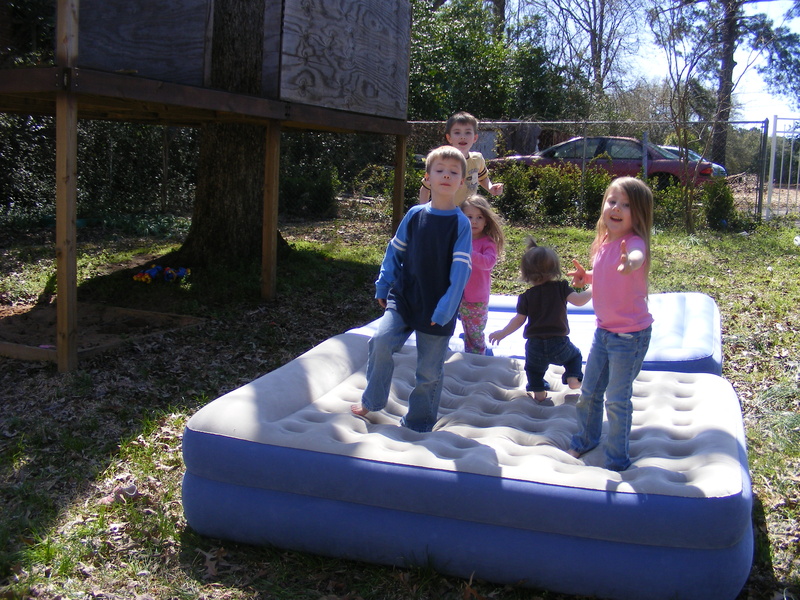 It may also be the safest trampoline because it is so close to the ground. I’m not a red-neck (far from it :)), but I think that was a pretty brilliant idea. I bet that kept them busy for a while and anything that makes children stretch out and rest is a winner for me. I have to give credit, where credit is due though. My FIL was actually the one to come up with this idea! 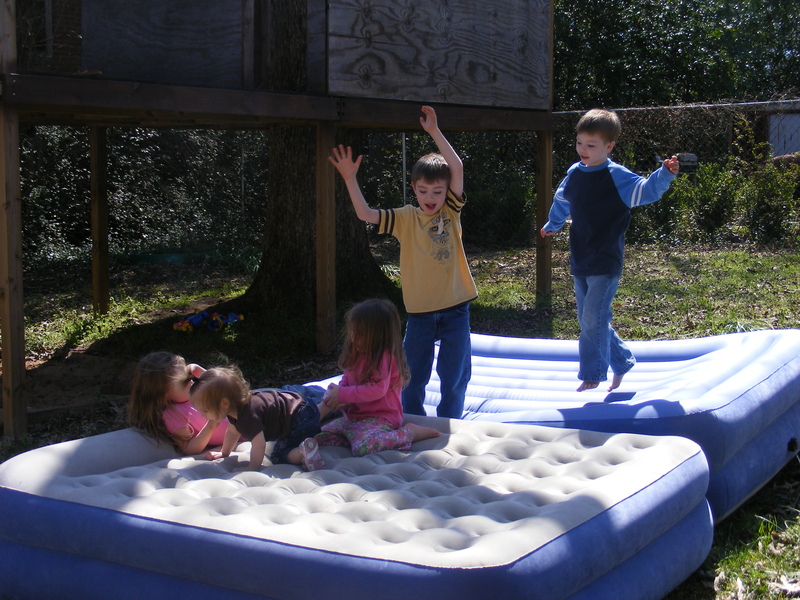 Both of these air mattresses were my in-laws, and both would leak down over-night, so they were going to toss them in the trash. 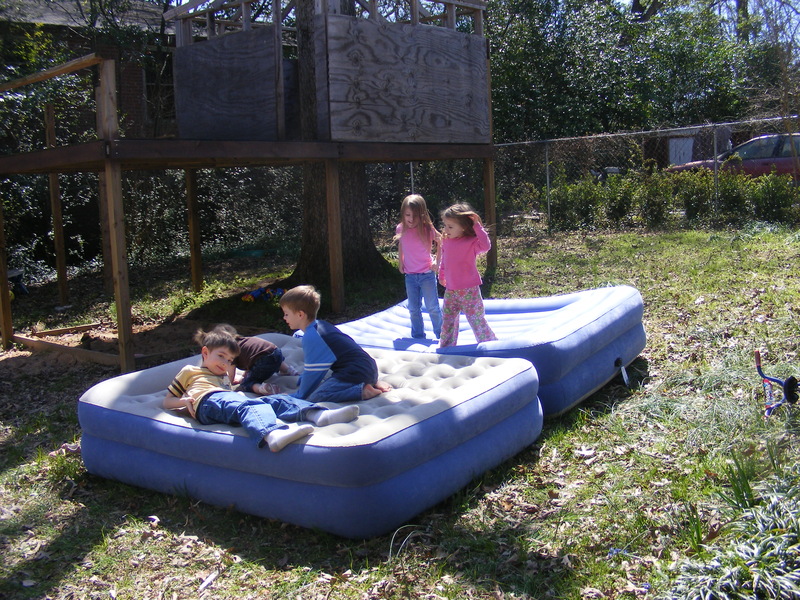 And right before they left our home, he aired them up and threw them out in the yard for the kiddos to jump on! They had a BLAST!! I LOVE it! Use what you have, right? 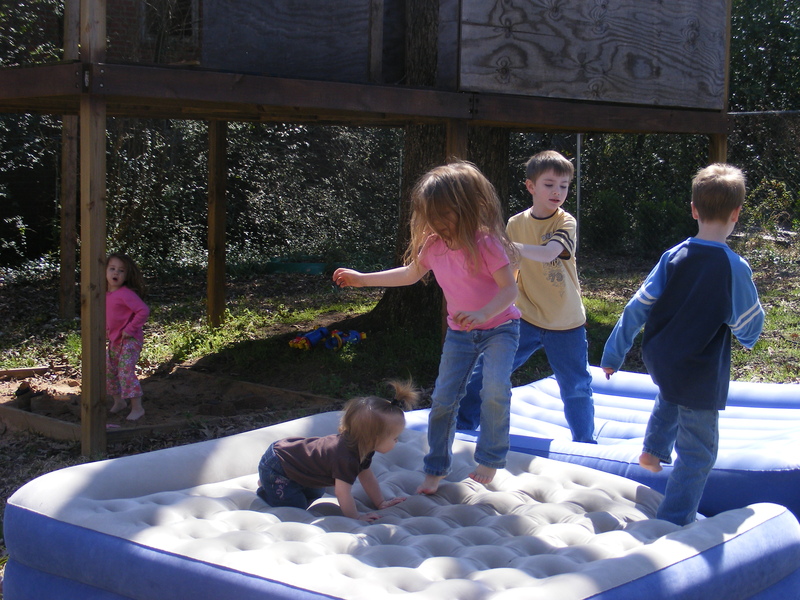 Certainly looks like the kids are having a blast and thats what matters! It looks like they’re really having FUN!! Grandpa likes winning points with the kids! I am sure he knew this is memory they would always hold dear. Yes, he does! 🙂 He won LOTS of points with this one!! Thanks for your sweet comments. I started my blog mid year with the help of a friend at littlepumpkingrace.blogspot.com and she gave me some inspiration and tips. She also gave me this website that binds your blog into a book. So this is going to be the family scrapbook from now on. I just got my first one delivered to me and I am addicted. It is so cool to have it all in a book ready to enjoy. I still do scrapbooks for the girls to have for themselves, but that is a lot of work and I know they will want to take those with them. So that is how I stay motivated to post. Your fam is so perfect and beautiful. I know your cup runneth over!